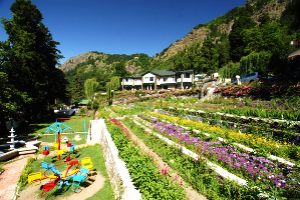 Pickup from Kathgodam Railway station and drive to Nainital, on the rout visit Khurpa Tal. 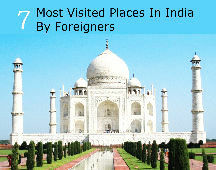 Arrive Nainital check in hotel and fresh up and visit to Mall Road and over night stay at hotel at Nainital. About Nainital : is referred to as the lake of three sages, or the Tri Rishi Saro as mentioned in the ManasKhand chapter of the SkandaPurana. As recorded in history, the three sages, Atri, Pulastya, and Pulaha stopped over at Nainital on their pilgrimage, to quench their thirst. Finding no water, they dug a hole and transferred some water into it to from the sacred lake of Tibet, Mansaro. Thus the famous lake of Nainital came into existence. Another legend has it that the left eye or Nain of Lord Shiva’s wife Sati fell in this center and formed an emerald eye shaped lake, and thus emerged the city of Nainital. Recent history records reveal that Nainital was brought into limelight by P. Barron, a British sugar merchant, in 1839. The beauty of Nainital with the central lake cushioned among the forests attracted this person to build a house named Pilgrim’s Cottage and settle in Nainital. On arrival at Nainital transfer to hotel, check in to hotel. Rest of the day free at leisure. overnight stay at hotel at Nainital. After breakfast, visit to Mall, Army Museum, Boating Club, famous lake tour of Malli Tal, Bhim Tal, Sat Tal, Naukuchia Tal, shopping. Later back to hotel, overnight stay at hotel at Nainital. 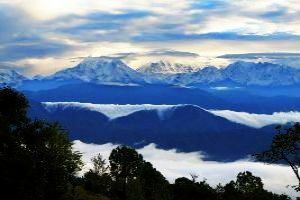 After breakfast check out from Hotel and proceed to Kausani on the way visit to: Ranikhet to explore the unspoiled flora & fauna of this beautiful hill station, Arrive Kausani, transfer to hotel and Overnight stay at hotel at Kausani. Ranikhet: the salubrious atmosphere, tall conifer trees, green meadows and placid surroundings makes ranikhet a unique hill station. The magnetism of each season in ranikhet is always capable of luring tourists, making it an all season destination. The majestic himalayas, lush green forests, sounds and smell of the flora and fauna leaves an unforgettable impact on the visitors. 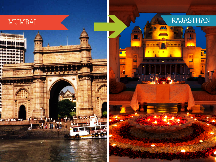 Worth watching excursions, ancient temples, fascinating picnic spots and exciting treks. Ranikhet also headquarters one of the glorious regiment of indian army - kumaonregiment. ranikhet literally means “queen's meadow”. It is believed that queen padmini of kumaon was in love with this tiny hill paradise. Kind sudhardev had to oblige her by building a palace here and named this place ranikhet, the queen’s field. 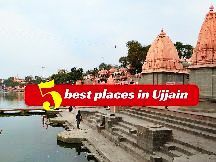 After breakfast in Kausani visit to: Kausani: Mahatma gandhi, during his stay at kausani, penned his memorable commentary on the 'gita-anashakti yoga' inspired by the scenic grandeur of this richly gifted spot. Mahatma gandhi was so much impresses that he started calling it “switzerland of india”. The guesthouse where mahatma gandhi stayed is now known as the and Anashakti Ashram, Pant Museum Pant Museum, the birth place of famous Hindi-Poet SumitraNandan Pant, Lakshmi Ashram, . Afternoon picnic near the river kosi and day to explore the beauty of nature. Overnight stay at hotel at Kausani. 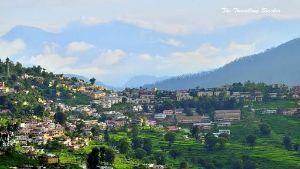 After breakfast check out from Hotel and proceed to Almora, arrive Almora transfer to Hotel and visit Almora to explore the unspoiled flora & fauna of this beautiful hill station. Almora : is a scenic hill station in the northern state of Uttarakhand. Located on a five km long ridge which is shaped like a horse shoe, Almora is a quaint town in Kumaon Hills in the Himalayan range. Evening Arrive Kausani. Overnight stay at hotel at Almora. After breakfast check out from hotel and proceed for Kathgodam Railway station .